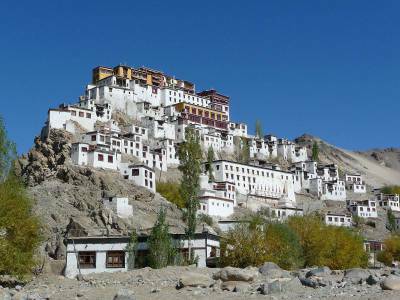 Overlooking the Ladakhi town of Leh is the magnificent Leh Palace. It is a former royal palace which was based on the Potala Palace of Tibet. This grand Palace was built during the 16th century by King Sengge Namgyal and consists of nine storeys with some wood carvings at the entrance. The royal family occupied the upper floors while the lower floors were for the stable and other storage rooms. The Palace was finished by the 17th century and represented the Medieval Tibetan architecture. 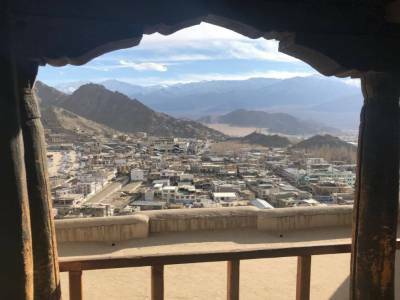 The roof of the Palace provides panoramic views of Leh and its surroundings. The Palace Museum contains a rich collection of stunning jewellery, a variety of ornaments, dazzling crowns and ceremonial dresses. Alluring paintings that are over 450 years old with elaborate designs still retain their bright colours obtained from gems and stones. The Namgyal Stupa is situated near the base of the Palace and interesting medieval murals adorn the inner and outer walls. The Palace is in the midst of a beautiful landscape and has mountain ranges surrounding it. It has managed to retain its charm even through the years providing an insight to Buddhist art, culture and religion. 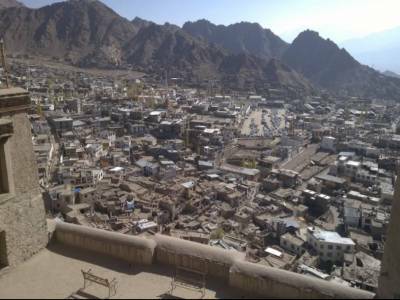 The Palace serves as an important tourist destination of Leh. Inside the monastery is a statue of seated Lord Buddha and the walls are beautified with old pictures and paintings. The Palace needs to be witnessed on a full moon night to believe how captivating it can look. 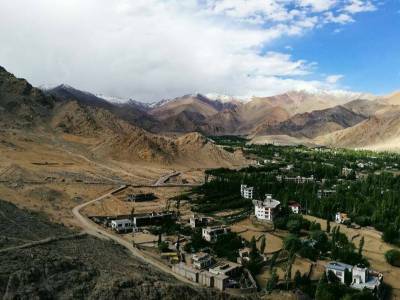 This beautiful palace had to be abandoned by the royal family when the Dogra forces took over and controlled Ladakh in the 19th century. The royal family was forced to move to the Stok Palace. The Leh Palace was in ruins and later restored by the Archaeological Survey of India (ASI). 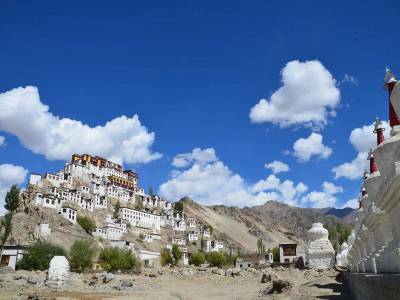 Get quick answers from travelers who visit to Leh Palace.